Featured! MAN2MAN Home | About Us | Opportunities | Sponsorships | Contact Us! 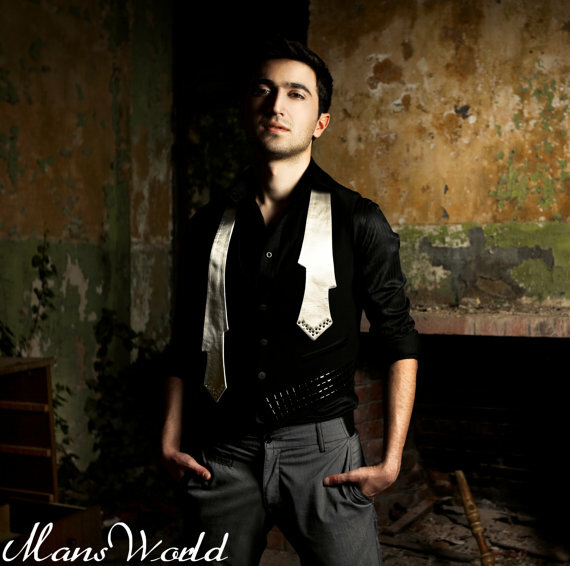 This week on Handmade Men we have the pleasure of meeting Tigran Hakobyan, A an artisan from Greece who has really gotten our attention with some of the amazing one-of-a-kind men’s pieces he is creating. 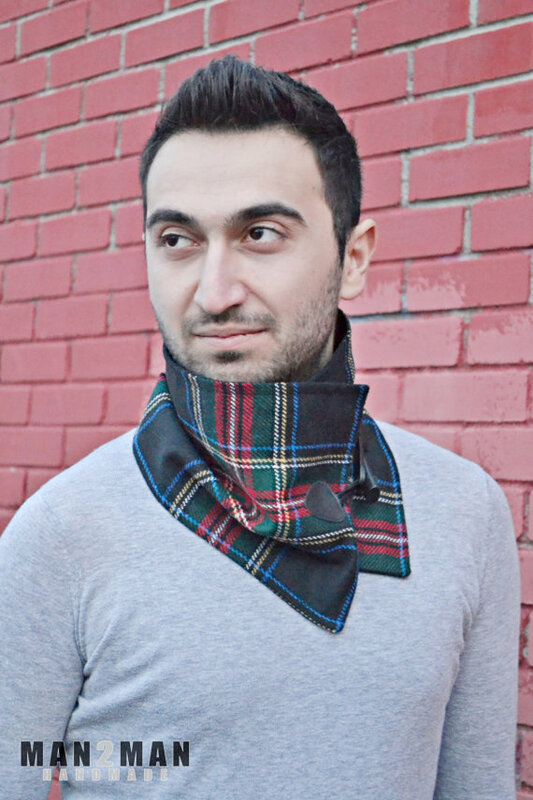 In his shop, MAN2MAN, you can find a selection of cowls, scarves, and neckties that are created from the finest materials using high-end construction methods. 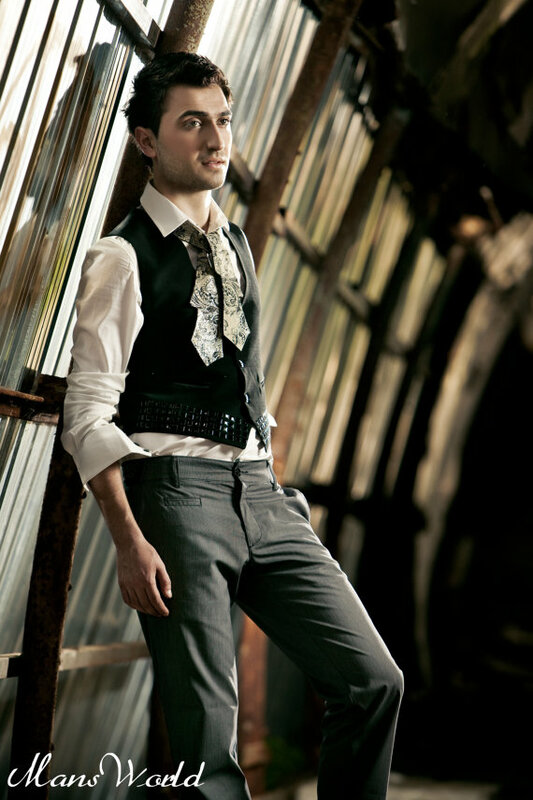 Each piece is truly unique, and there’s something to match any guy’s style. We’re really excited about introducing you to this shop and the artisan who runs it. Enjoy! 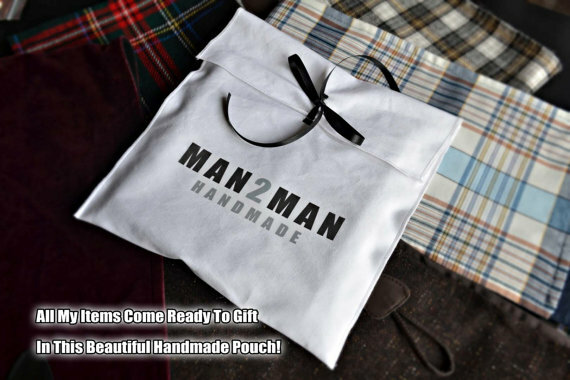 I created the MAN2MAN label to can offer a variety of handmade men’s accessories to people who seek unique and high-quality items to enrich their outfits and style. I always use high-quality fabrics and I only add items that I’m sure will be considered unique and beautiful. I love the whole concept of creating and sharing my creations with other people and that’s why I always do my best to deliver the best! That’s also the reason I keep the prices low. It’s just amazing when people choose to wear the products you created with love and care! The feeling is priceless. For the moment I’m mostly focusing on handmade scarves and neckties, though I have a lot more ideas in my mind which I’ll gradually start making and adding to my shop. I also recently started offering the option to print a name or message on the gift pouch in which the customer receives their item. I think it’s perfect if you want to give it as a gift to someone – the item becomes a little bit more personalized and special. We’re big fans of your work and really enjoy watching your shop evolve. How did you get started in doing this work? First it was just about me and what I personally wanted to wear. I wasn’t always finding what I was looking for and I started experimenting on my own handmade products so that I can always have what I want the way I want it. The truth is there is a huge variety of men’s accessories in stores, but most of them are very similar to each other and you can’t always be sure about the quality of the product you’re getting. The whole process of choosing the right fabric, sketching, and sewing gives you the ability to know exactly what you’re going to get! That’s why people tend to prefer handmade products more and more. We agree, and it’s clear just how much intention and craftsmanship goes into each piece you make. What tools and techniques do you use in making your work, and how did you learn to use them? I learned pretty much everything from my mother who has been creating handmade clothing for more than 20 years now. She even has her own Wedding Dress Etsy shop – open for over year now. She taught me everything as I was growing up and always shared with me a different perspective of what fashion is and what it represents. As for my creations, I always start from the fabric! Fabrics are my personal points of inspiration. When I find the right fabric I then get to sketch the design for either the scarf or the necktie. I always try to keep my items simple and elegant. You could say that that’s my motto. Keep it Simple and elegant. For the scarves, I mostly prefer cotton fabric for the inside which keeps them healthy and warm. When I’m done I finish my creation with the sewing part, which I do on a professional sewing machine my mother gifted to me when I was 18. I create every product one-by-one with much care. I put them in a handmade MAN2MAN pouch I’ve created and ship them to the customer within 1-3 business days. So much dedication and process goes into everything you make! As an artisan and as a fan of handmade pieces, why do you think that buying handmade, one-of-a-kind, or artisan created works is such a good idea for guys? I’ll keep this as simple as I can. Buying handmade products from individuals boosts their creativity, stimulates talented people into sharing their beautiful creations with the rest of the world, and supports the idea of choosing high-quality and unique products! Moreover, every individual seller is practically a small business on his own. Imagine how many individuals will improve their economical situation if we consciously support handmade products. It’s actually a boost to the economy! I’m sure that we will see a huge increase in handmade product sales in the following years because it is simply a win-win situation. Buyers get amazing high quality products at low prices while supporting small businesses. 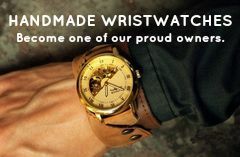 As a man, I prefer handmade because I find very unique stylish products which are not available in the typical market. Another very important factor is that you can actually communicate with the creator before making a purchase. Ask for changes, his opinion, etc. It’s a big deal to me and you can certainly not do that when you buy goods from big brands. I can imagine a world where people buy most of their products from individuals offering handmade products. It will be amazing! 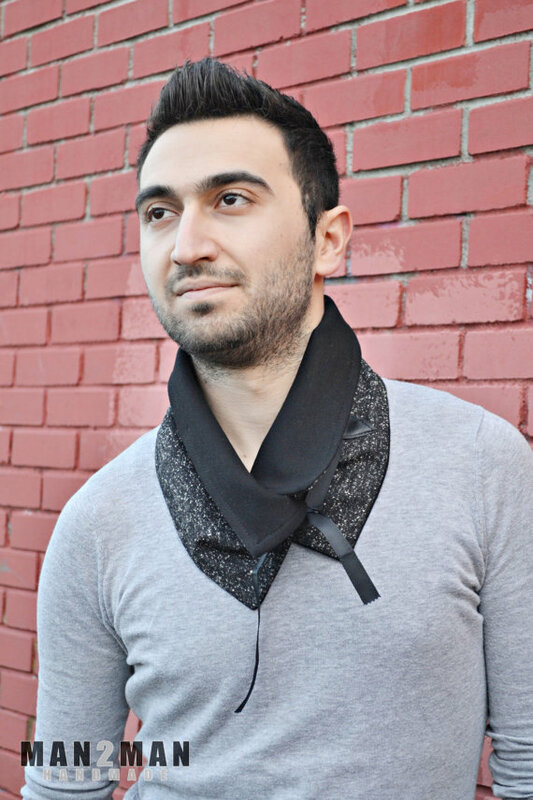 Tagged Cowls, etsy, featured!, interview, MAN2MAN, Scarves, Ties. Bookmark the permalink.